330 minutes of ICED EARTH! * Festivals of the Wicked Documentary. The Festivals of the Wicked documentary is an hour-long video containing interviews with the band members, behind-the-scenes footage of Iced Earth’s 2008 European tour, and several songs from the festivals. * Slovenia’s Metalcamp (2008) with Matt Barlow on lead vocals. Germany’s Rock Hard Festival (2008) with Matt Barlow on lead vocals. This festival, the first to feature Matt’s return, storms through 15 songs. 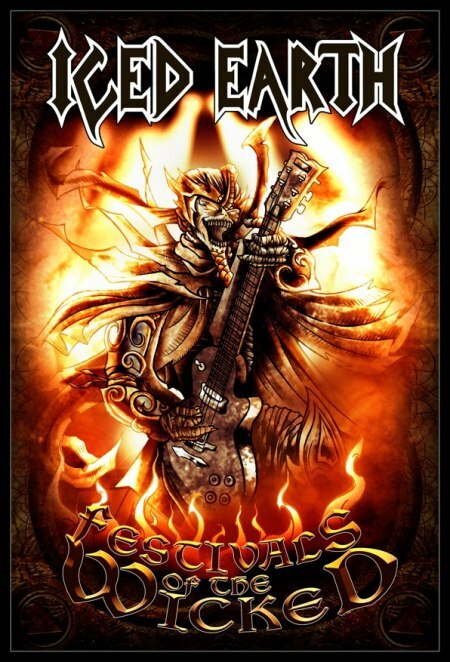 Germany’s Wacken Open Air (2007) with Tim “Ripper” Owens on lead vocals.